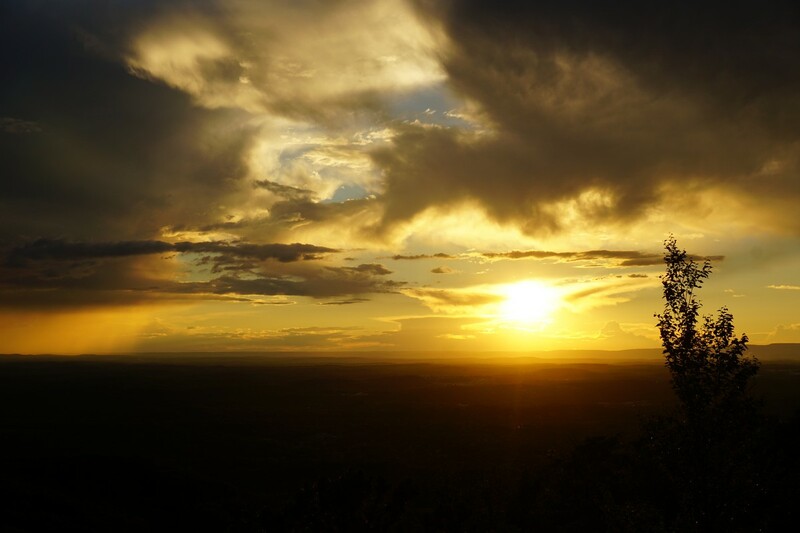 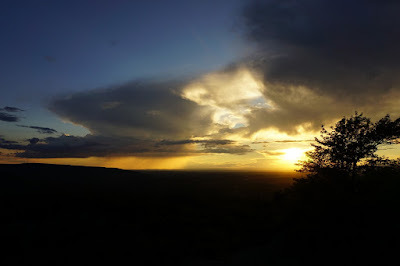 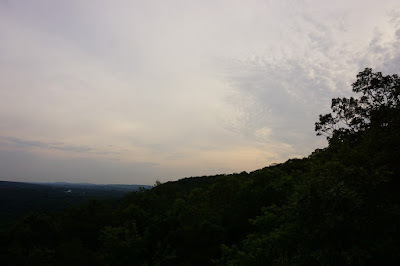 This was a very hot and humid day, with a very unsettled atmosphere and the threat of thunderstorms popping up. 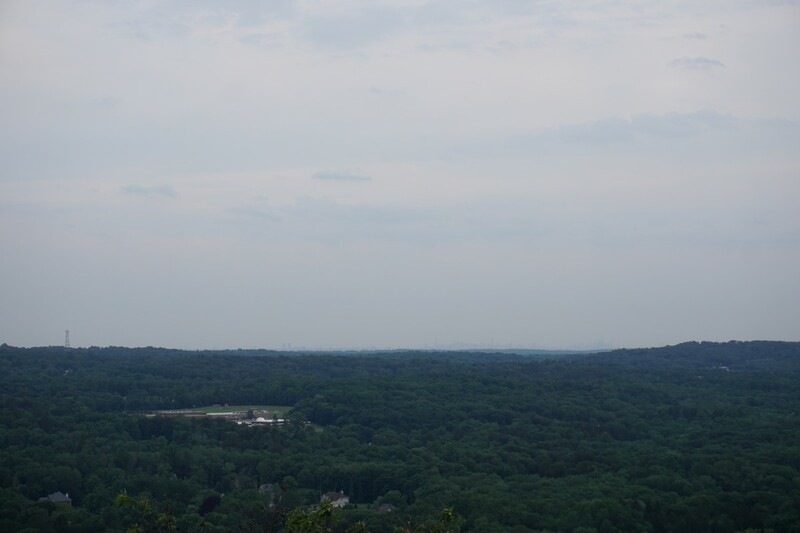 I was worried about getting stuck in a store, but in the end it stayed dry and sunny, although it was very hazy. 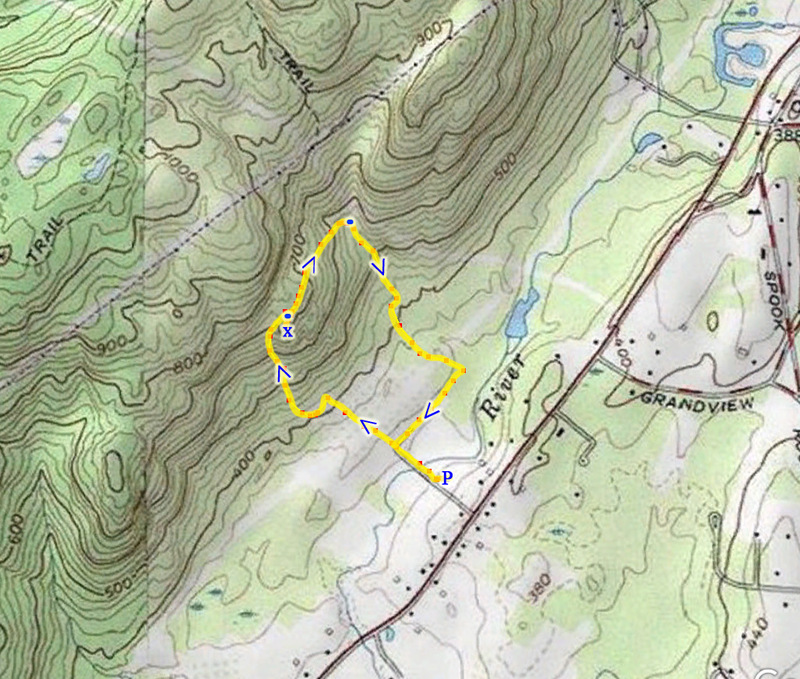 There is a small network of trails in this area, and I decided to cover all of them during this hike. I parked at the Garrison Train Station of the Metro North line, right near the Hudson River. 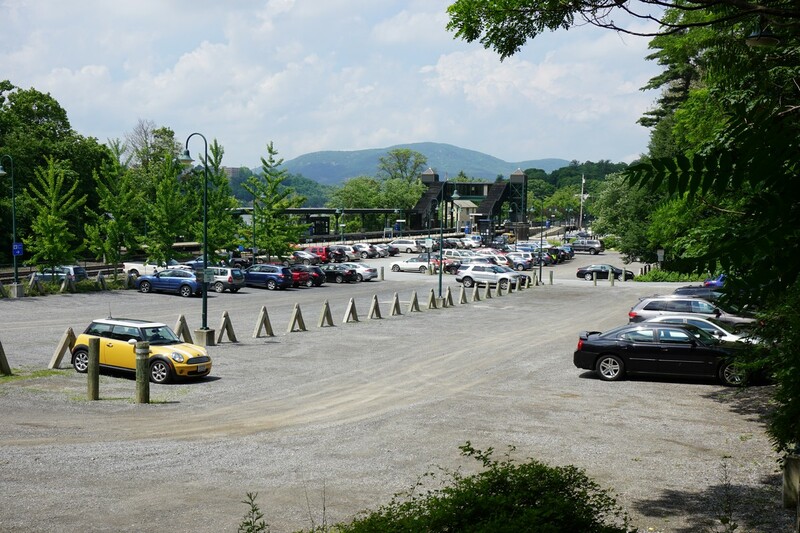 Parking is free on weekends and holidays, but it costs to park here during the week, so keep this in mind if you are planning on visiting this area. 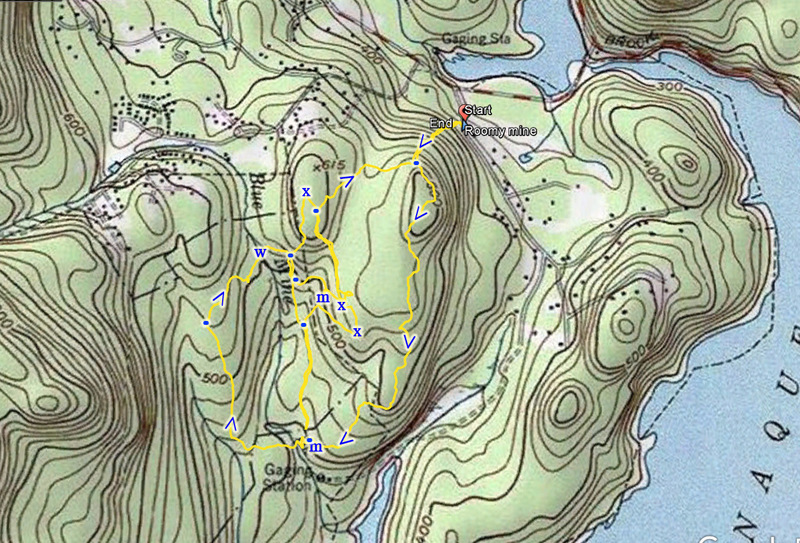 I took the Blue Trail at its beginning right behind the northeast corner of the train parking area. 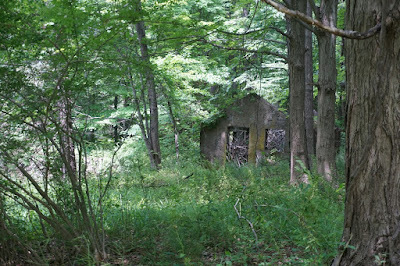 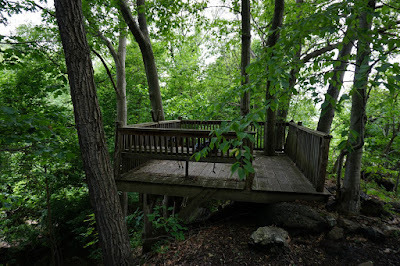 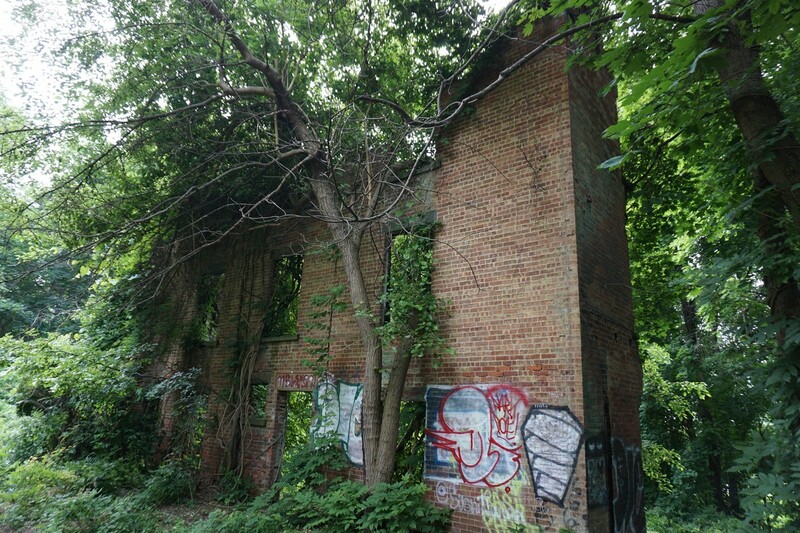 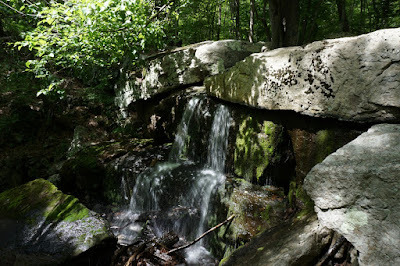 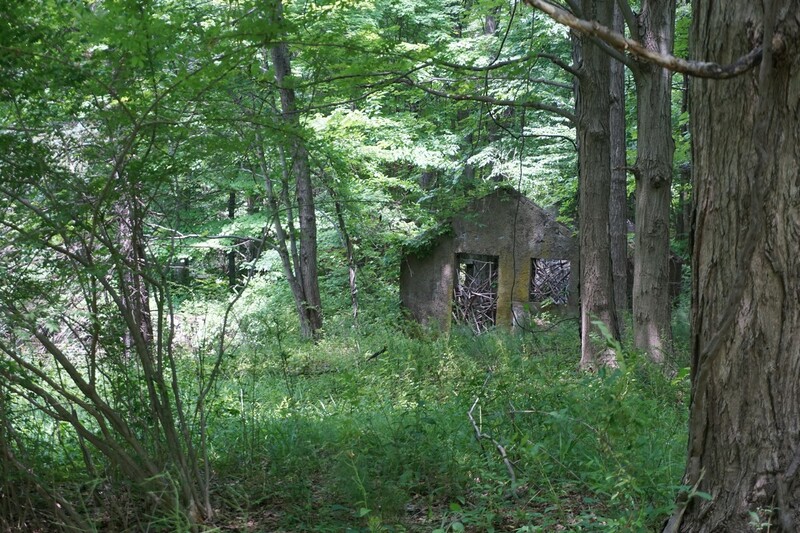 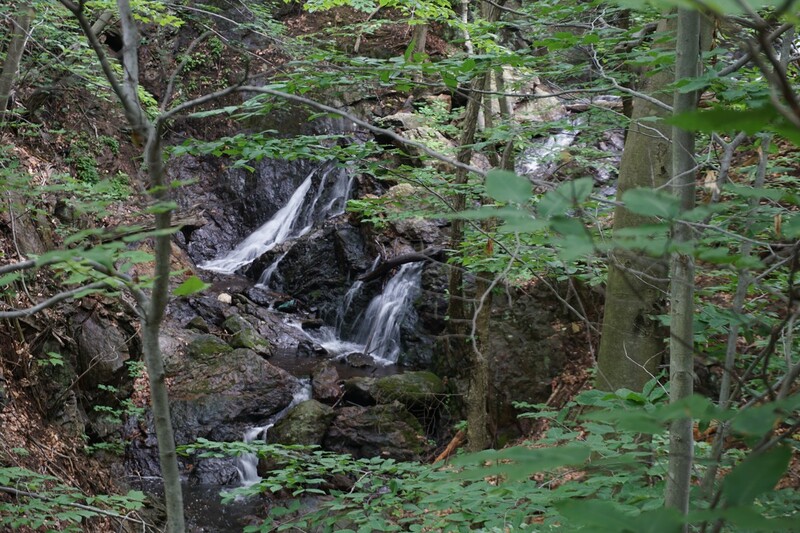 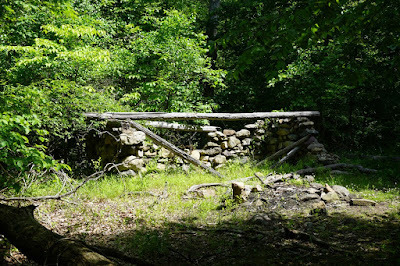 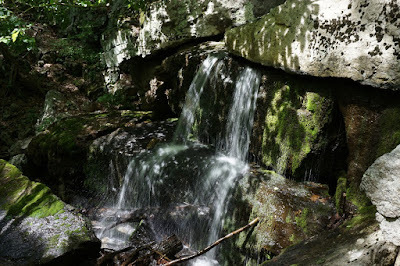 Right at the beginning are some abandoned buildings, and after those when the trail crosses a brook, there is a short spur to a small seasonal waterfall. This trail goes parallel to the railroad tracks, and this is a busy line with commuter trains running in both directions quite frequently. 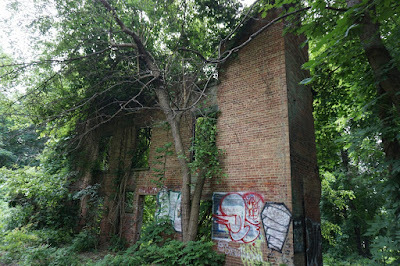 I continued along the Blue Trail in a southward direction, to where it crosses the railroad on a bridge. 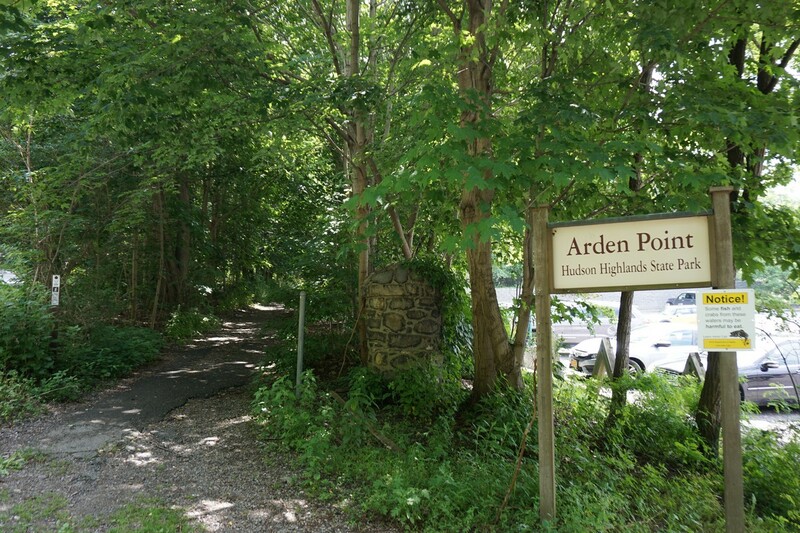 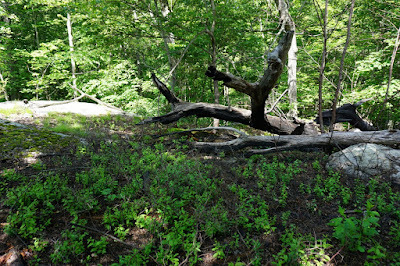 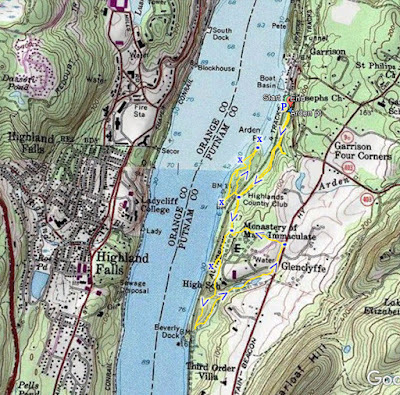 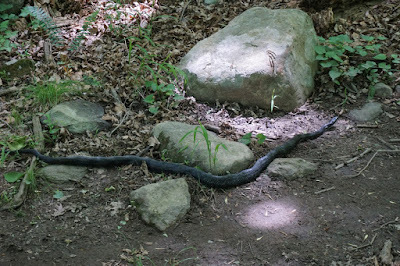 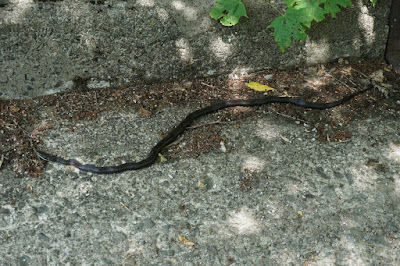 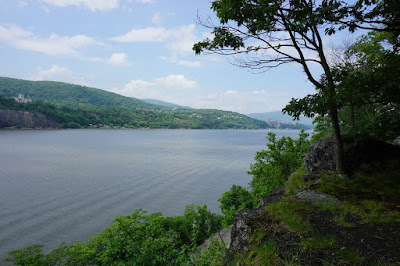 The trail loops along back north, ending prior to a rock promenade that juts into the Hudson River known as Arden Point. 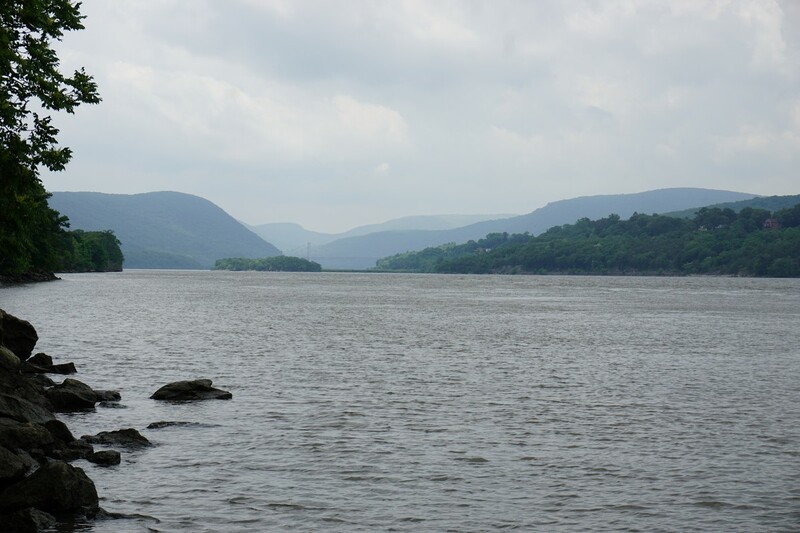 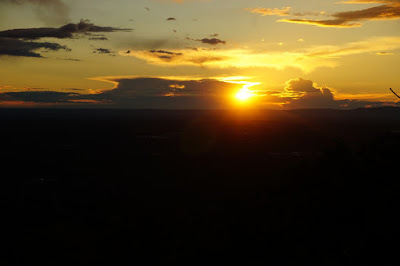 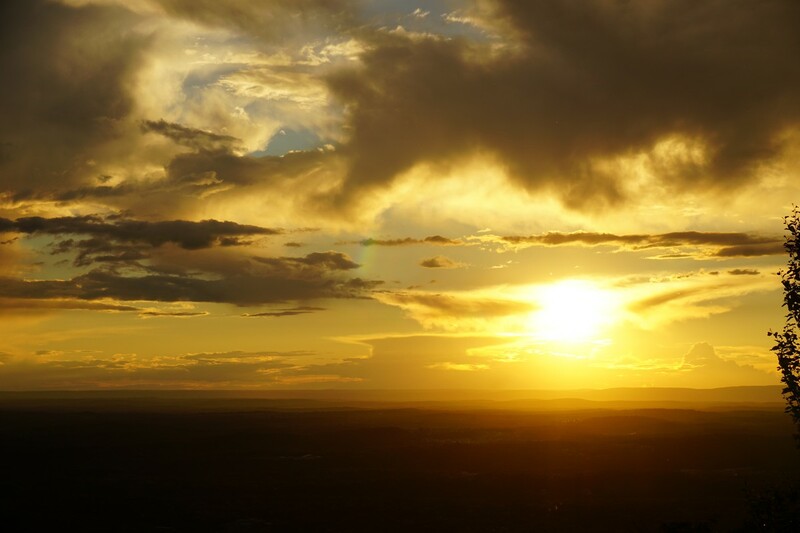 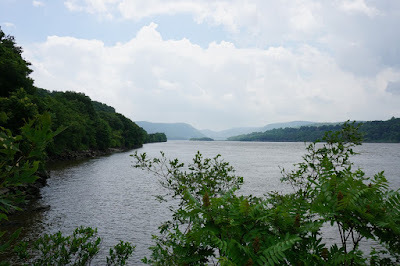 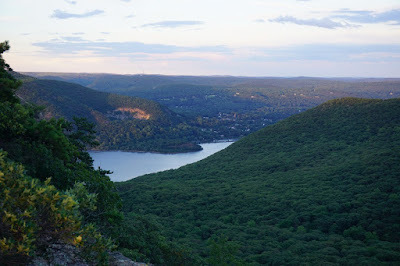 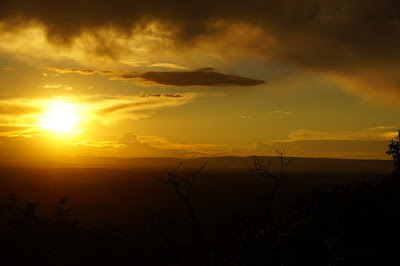 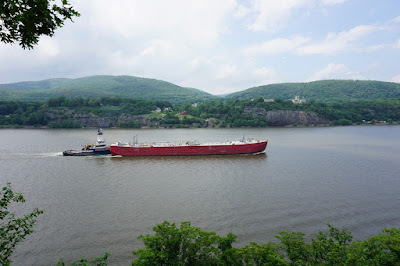 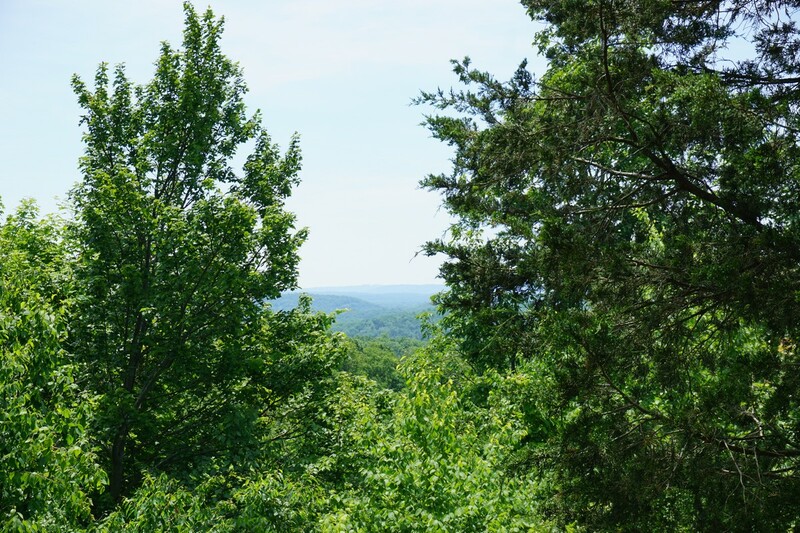 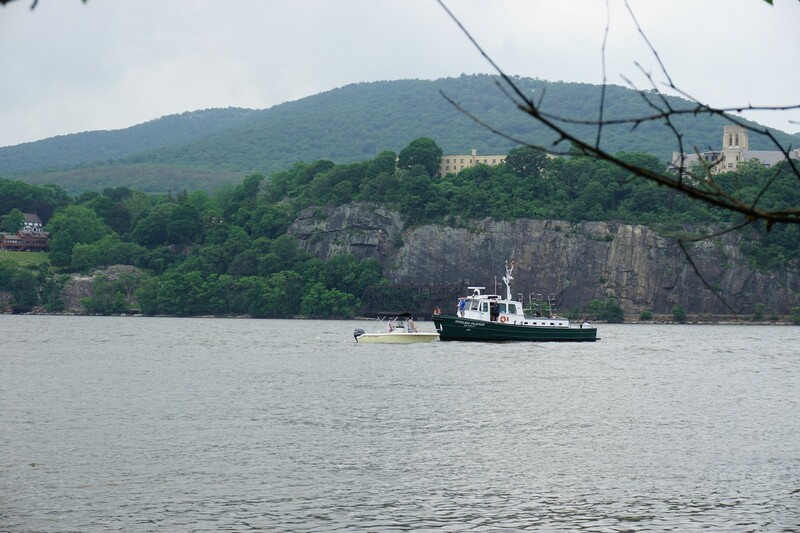 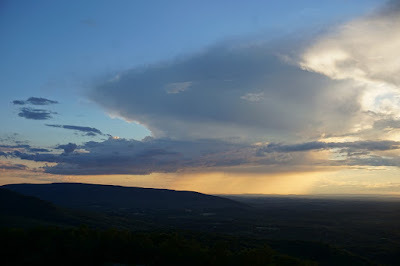 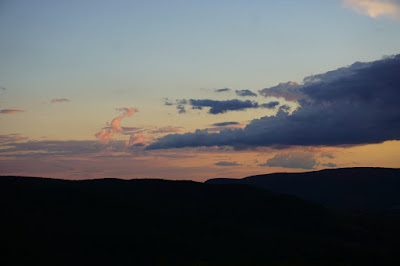 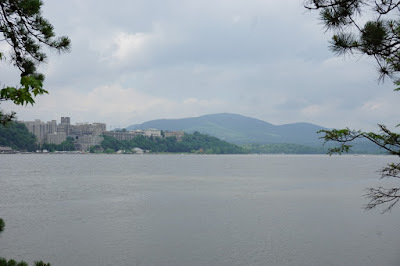 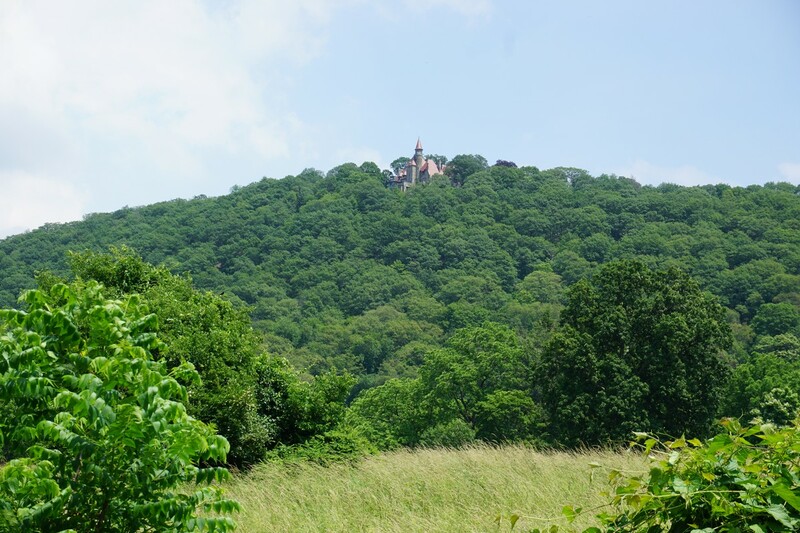 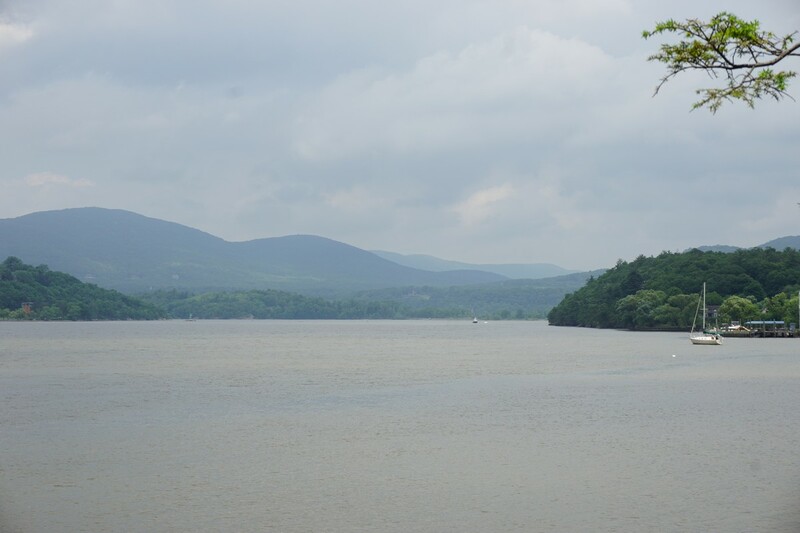 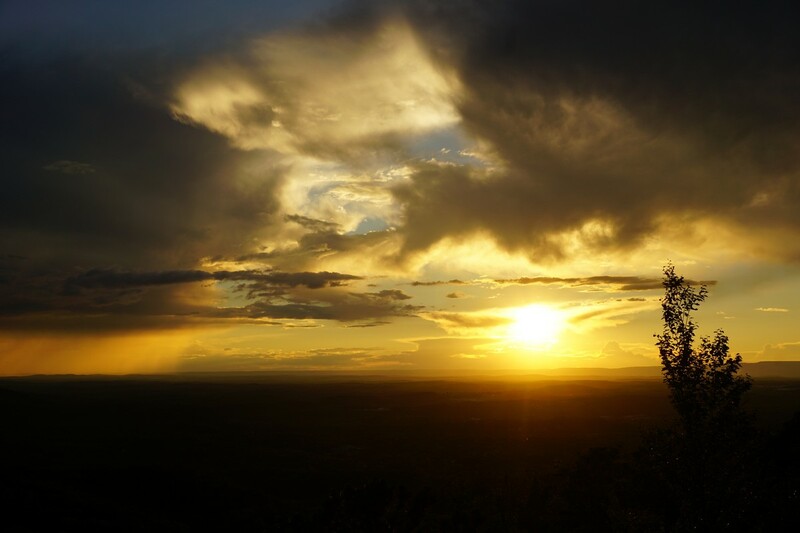 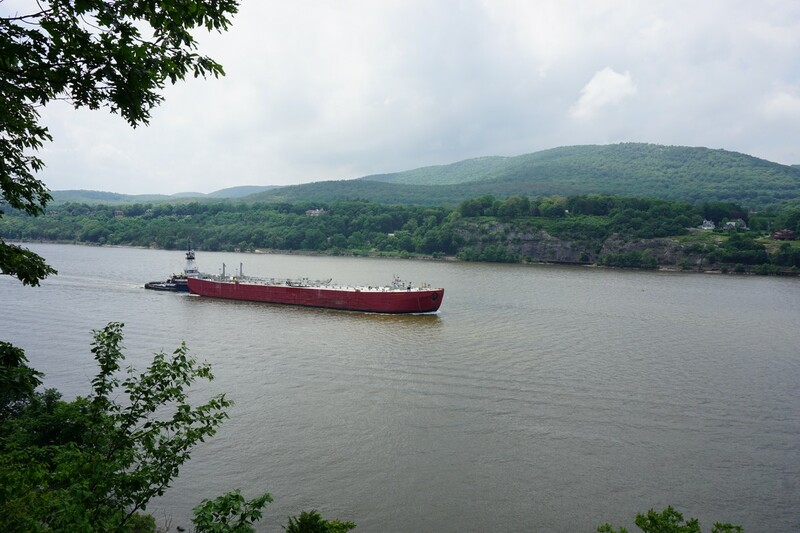 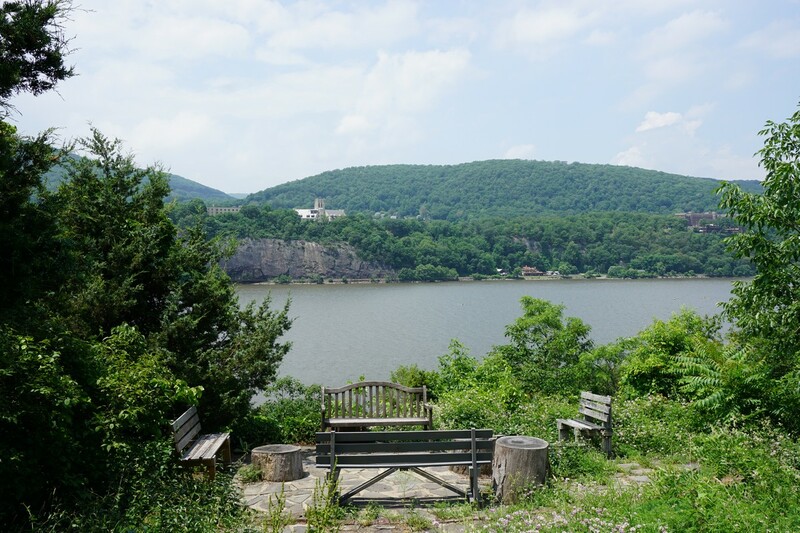 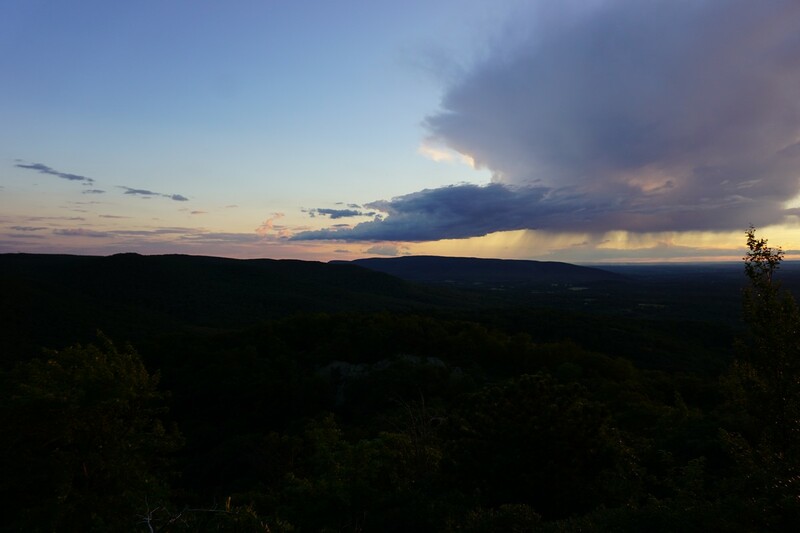 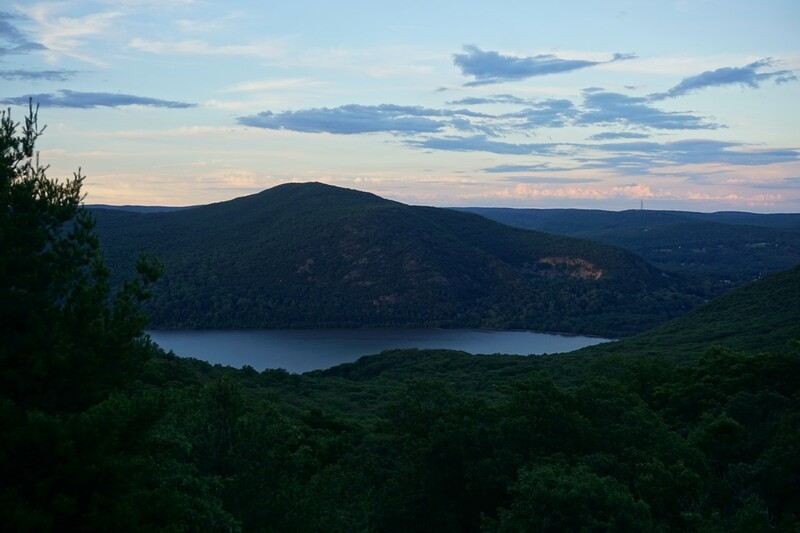 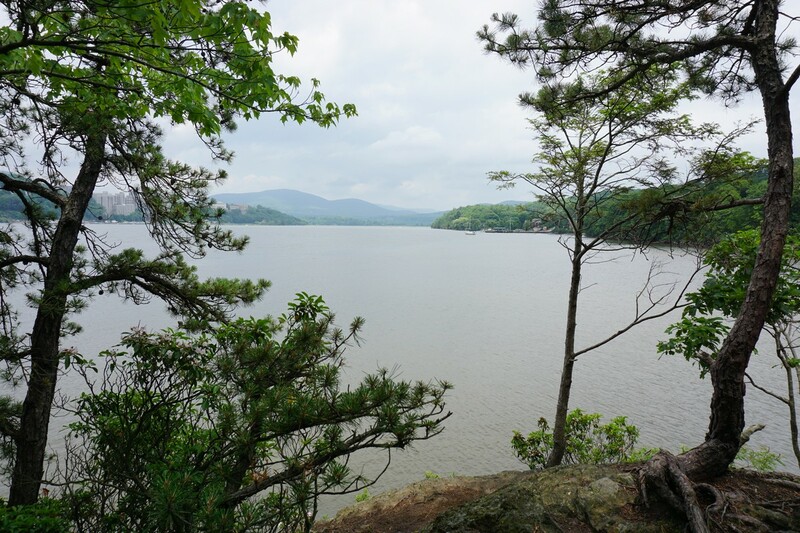 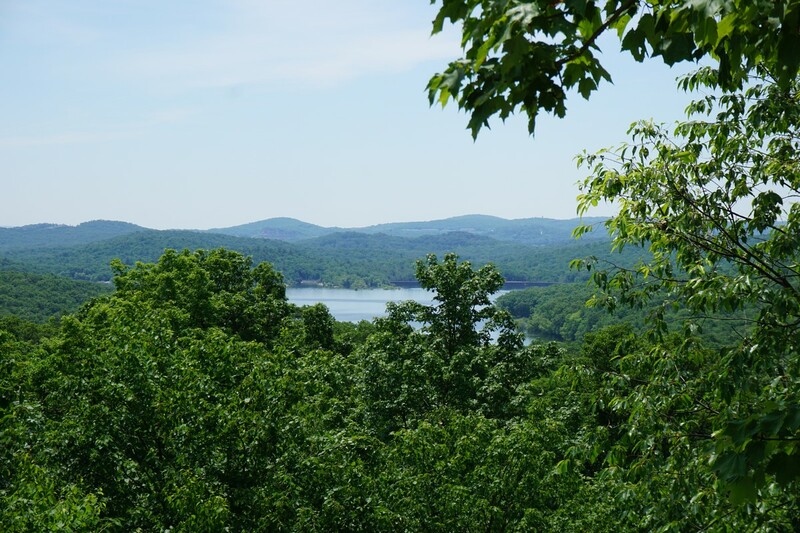 There are excellent views to the north of West Point, across the river, and Bull Hill and Storm King to the north. 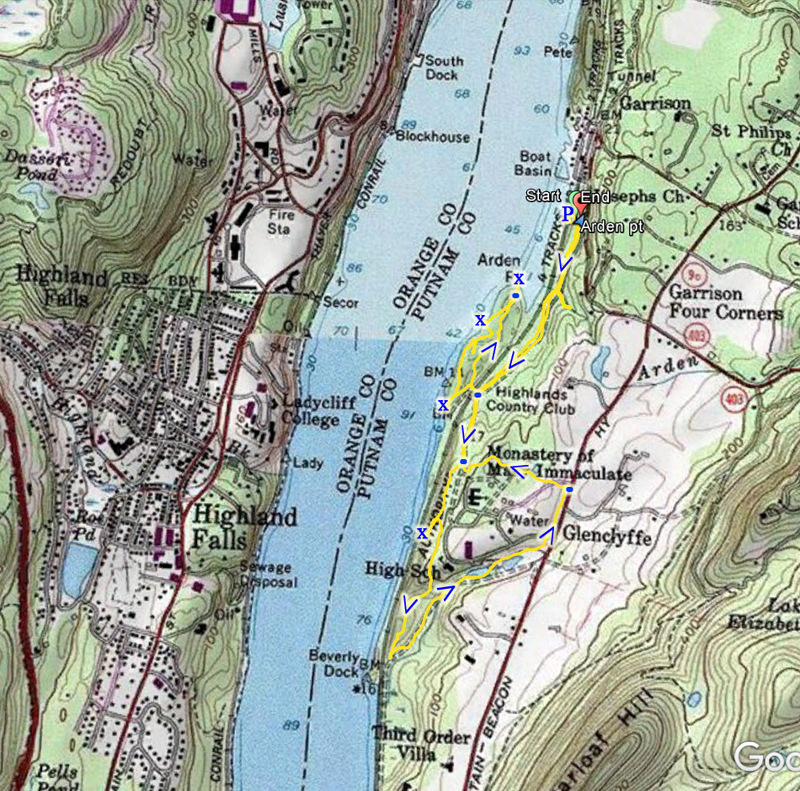 I then took the Red Trail at this point where it goes parallel to the Blue Trail, also passing a nice river view along the way, and then another view facing south. 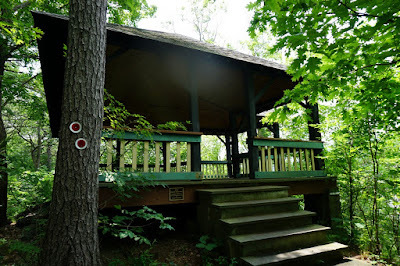 I then crossed the same bridge and took the Marcia's Mile Trail to the Red Trail. 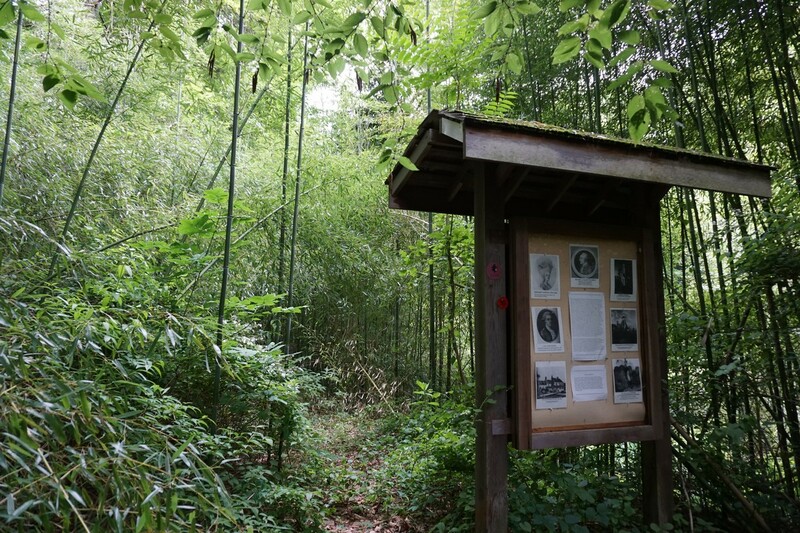 This trail passes some sort of large church or monastery with beautifully cultured grounds, and then turns around and goes through a thick bamboo forest along the side of two ponds. The bamboo forest is definitely unique and made me feel like I was in Asia. 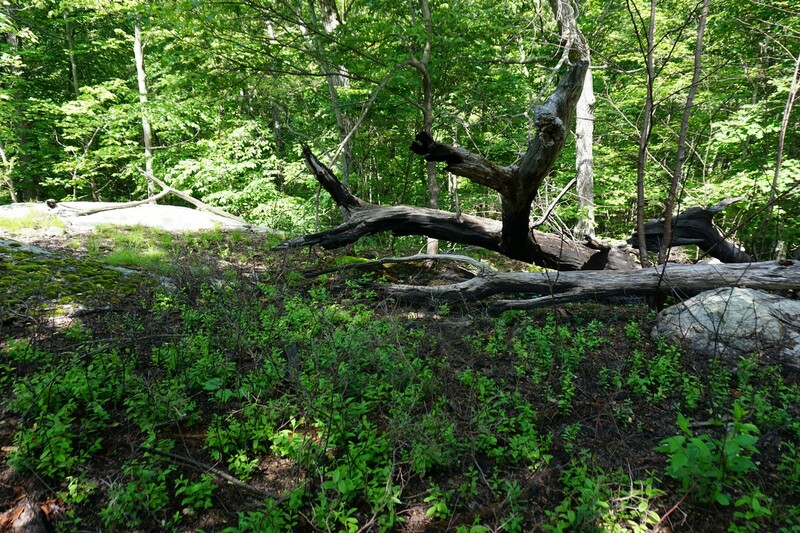 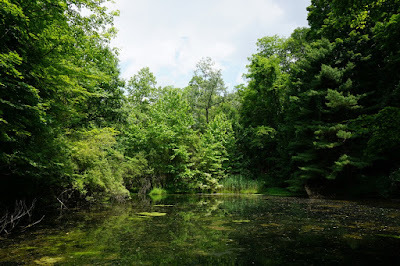 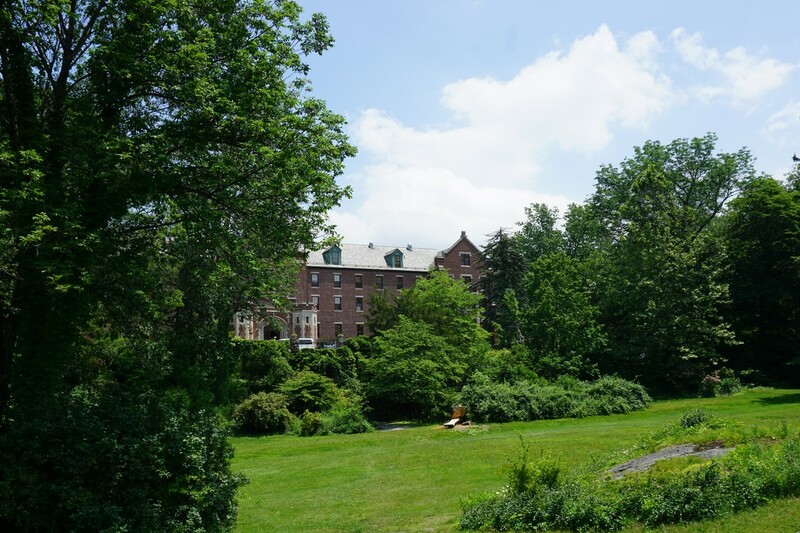 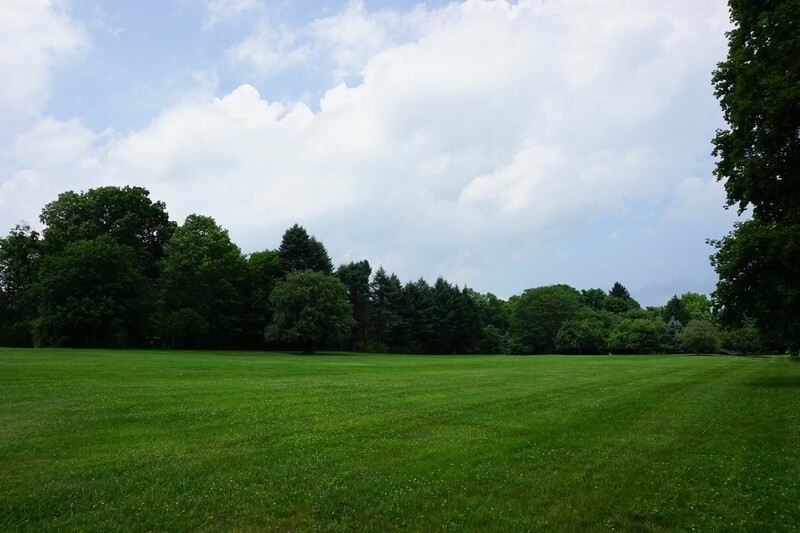 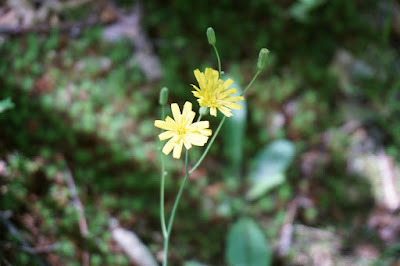 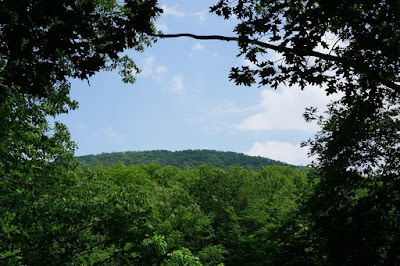 The trail then climbed up the hill into a large open meadow along the site of Route 9D, and I walked parallel to the side of the road on the trail. 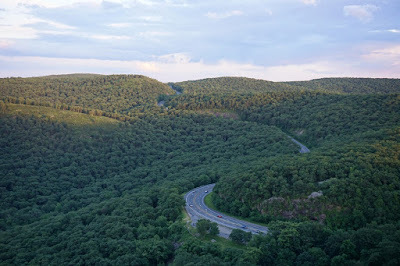 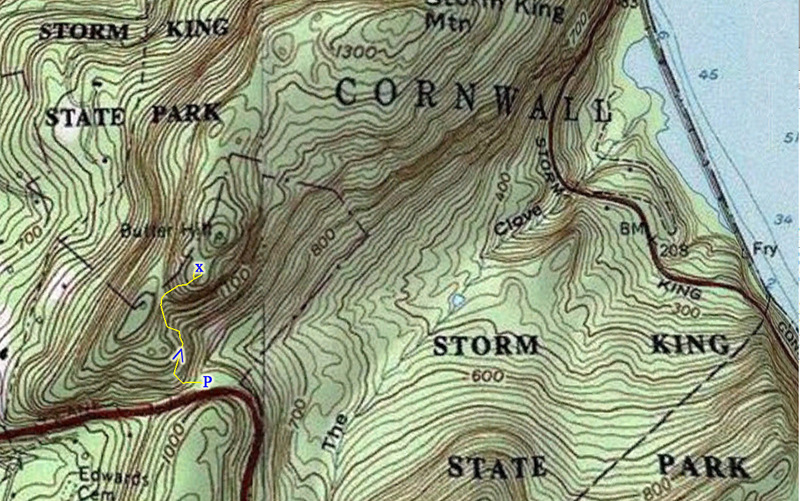 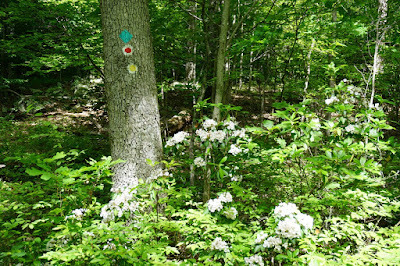 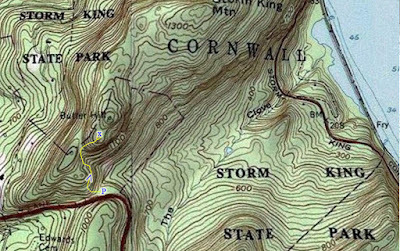 The trail is hard to follow here, but the rows of trees parallel to Route 9D have trail blazes that can be followed until a driveway, where the Marcia's Mile Trail ends and the Red Trail starts. 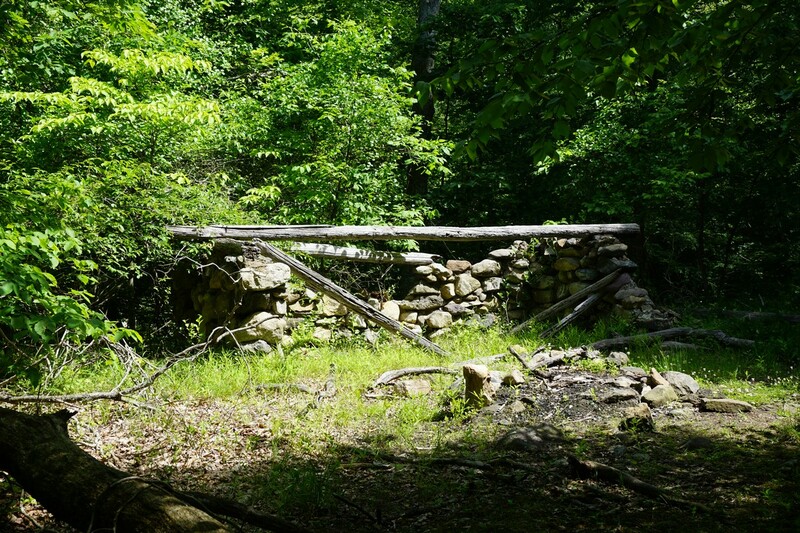 Marcia's Mile goes back to the forest, passing an abandoned structure and a pond in the woods filled with goldfish. 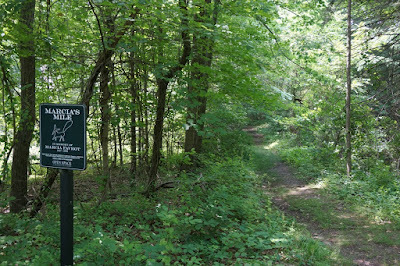 I continued along to the end of the trail at the Blue Trail, and then the Blue Trail back to my car. 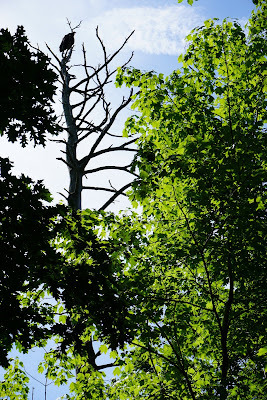 This was a very hot day, perhaps the hottest of the year so far. 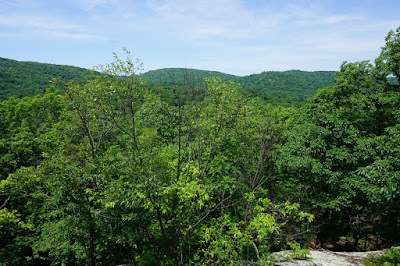 The sun was out strong, but at least much of the hike was in the shade. 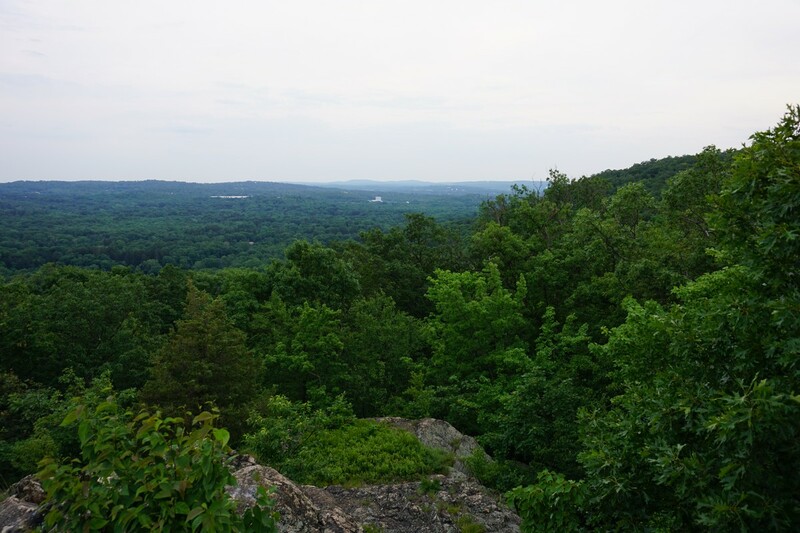 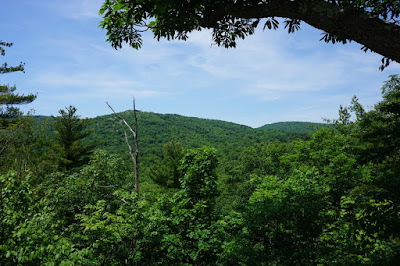 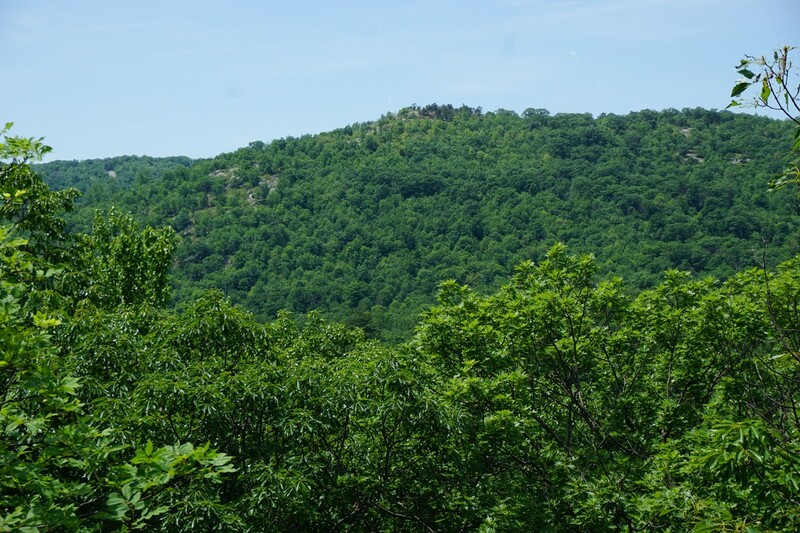 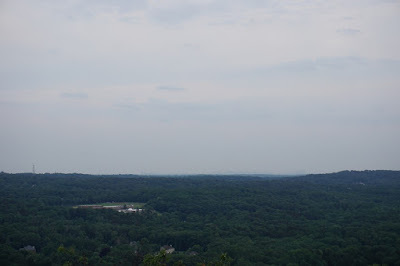 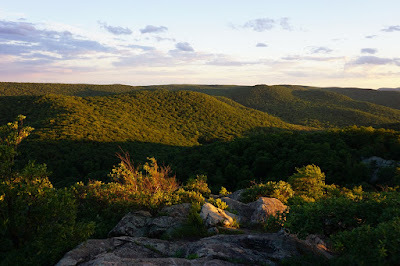 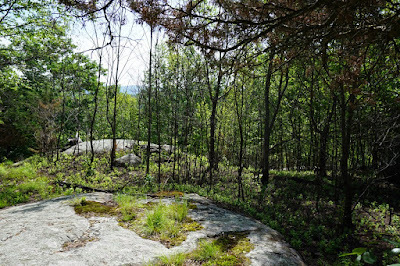 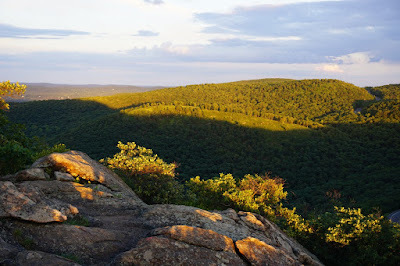 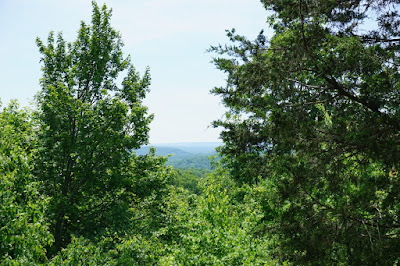 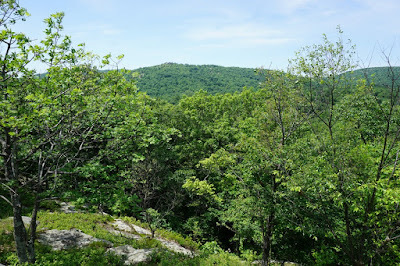 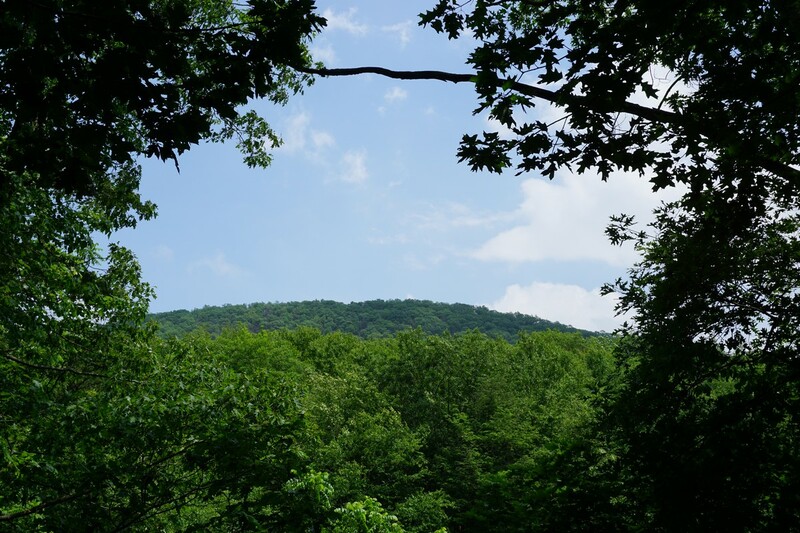 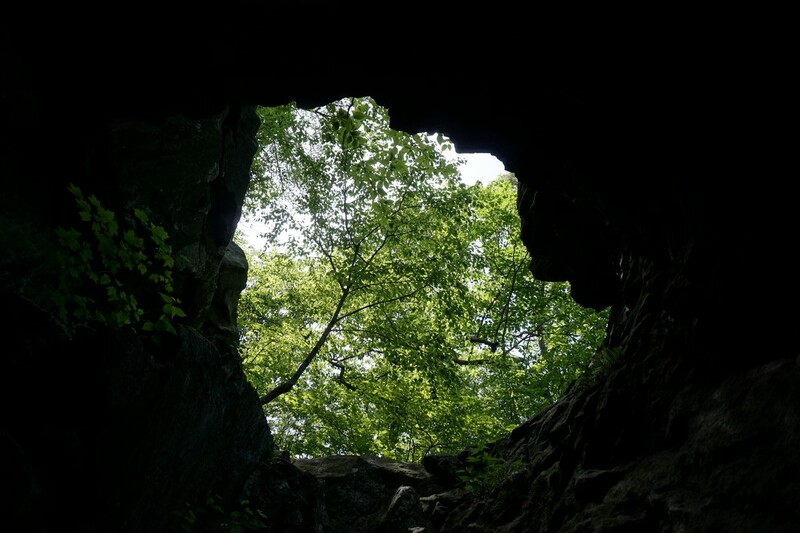 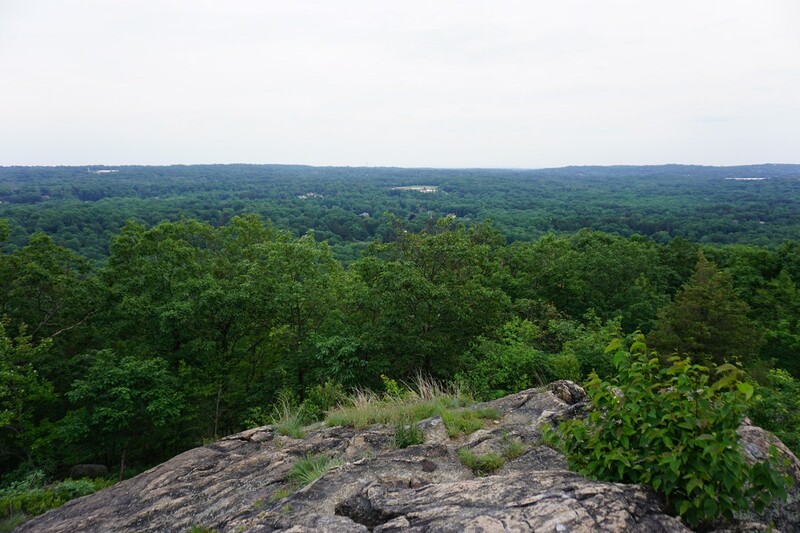 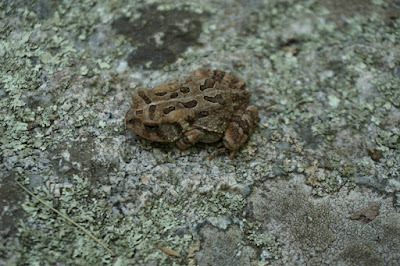 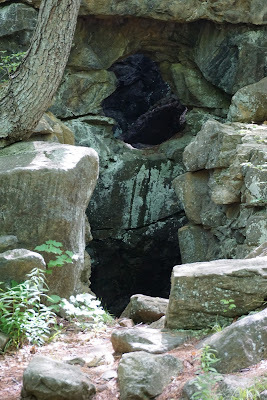 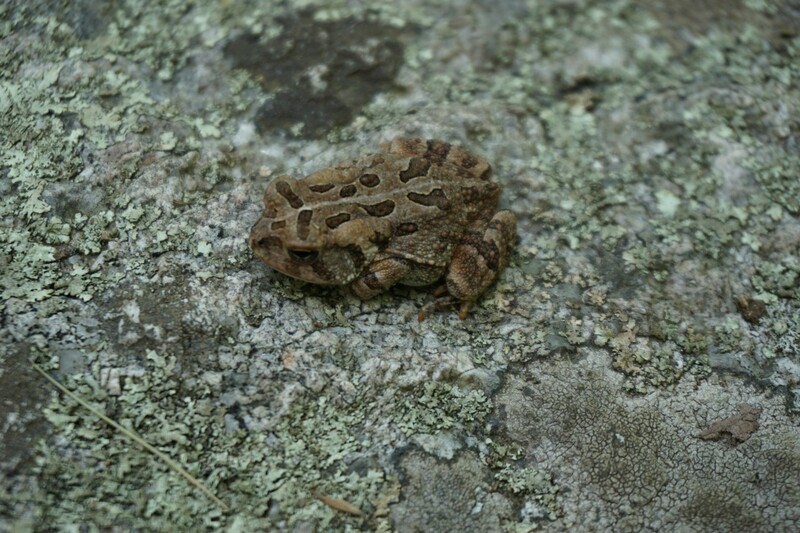 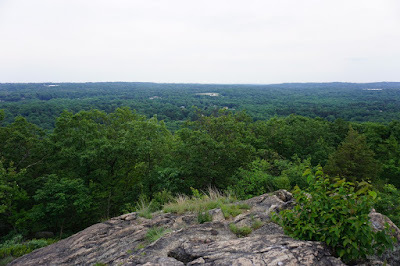 I had intended to climb Wyanokie High Point, but due to the high temperatures and the open exposure at Wyanokie High Point, I opted for the circular hike instead. 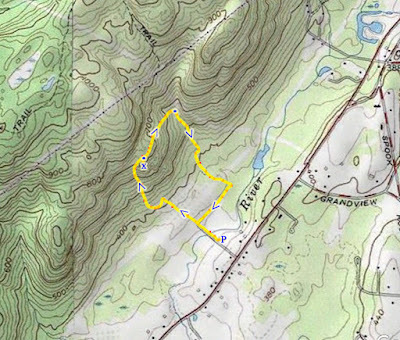 I parked on Towsend Road, at the Highlands Trail trailhead, and ascending up the mountain, past a burt out zone from a recent forest fire (presumably from last summer or fall.) 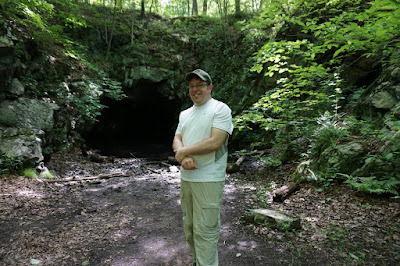 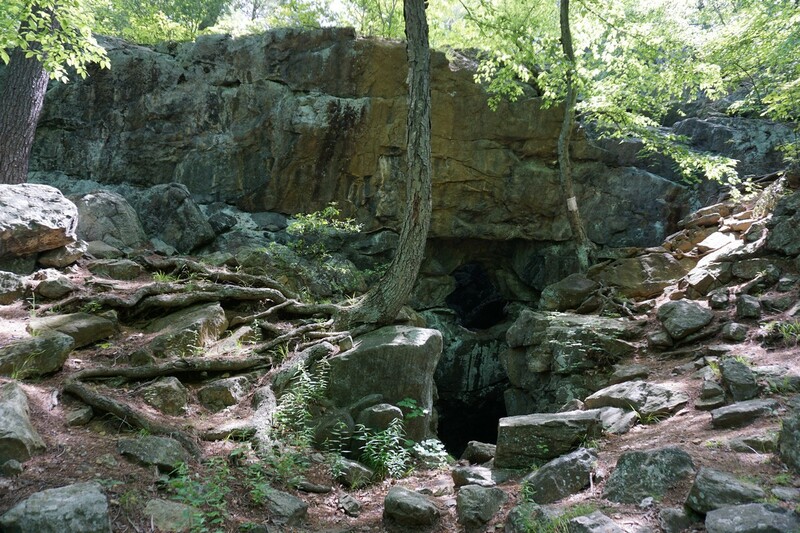 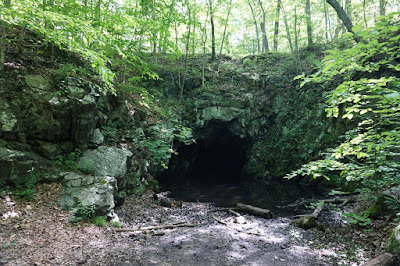 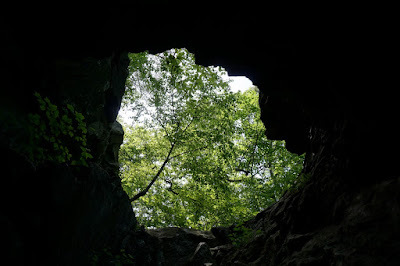 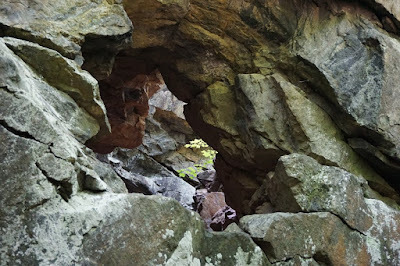 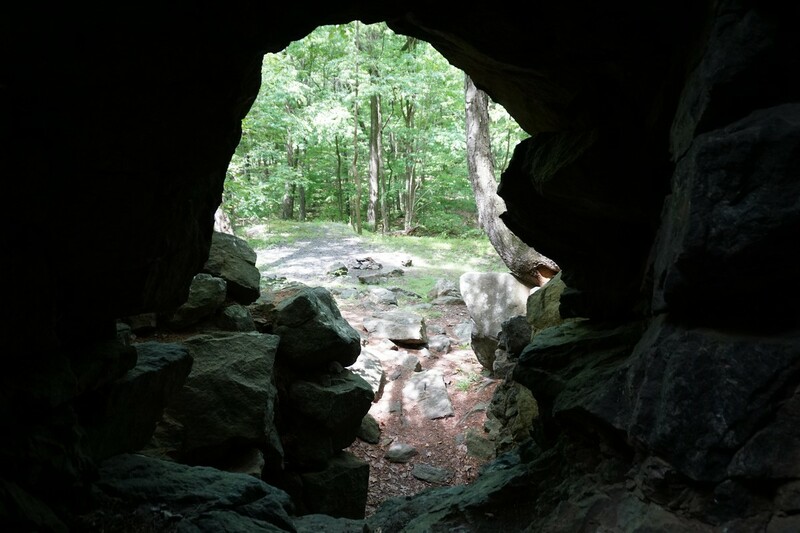 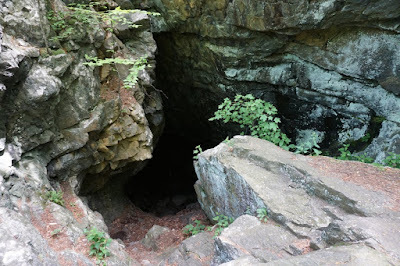 I then continued to the Blue Mine, an old iron mine similar to the many old mines in the Highlands region and Ramapos. I then took the Mine Trail, to the Roomy Mine Trail and went past the small waterfalls over here. I then took the Roomy Mine Trail down back to the Blue Mine, and turned around and took the Roomy Mine Trail to the Roomy Mine. I explored this old mine, which is definitely impressive, with a large window-like structure and deep interior which you can climb into. 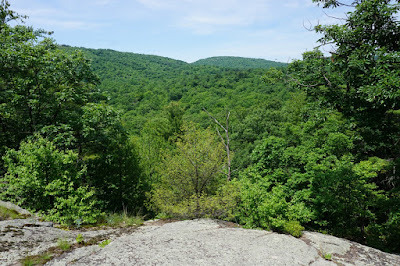 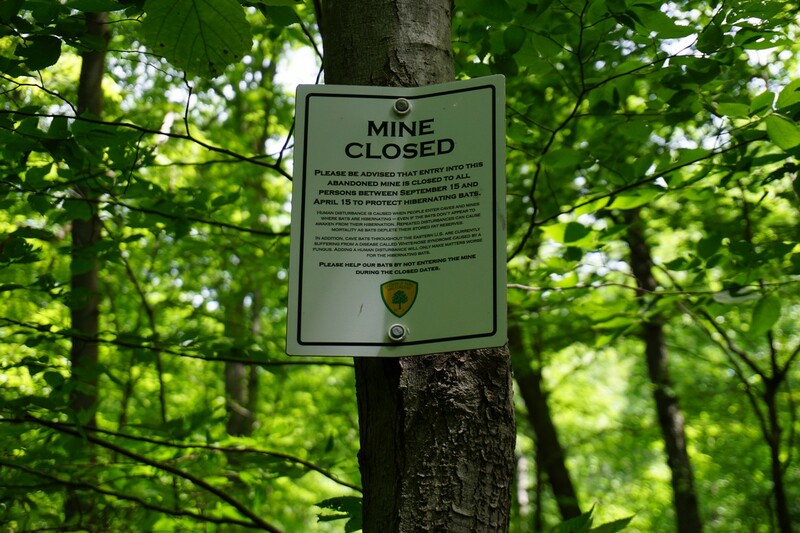 I continued along the Roomy Trail afterwards west towards the view, and then took the other side of the Roomy Trail back around the top of the ridge above the mine, looping around the mine once more and passing by two more views along the way. 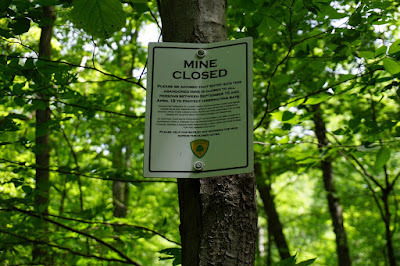 I then cut across back up the mine path, and took the Mine Trail back to the Highlands Trail, and then back to my car.